Have you checked with Mac Blair, Mr.1932 parts guy? 1931, not 32. Has 31 brake & clutch pedal. Horizontal oil filter and fuel pump on left side of engine makes it 60/80/90 series. 32's I believe did not have wood artillery wheels. Vin number a few hundred earlier than my 31 8-66. 1932's did have artillery wheels like my 32 found in original condition in a warehouse in 2006. Engine of my 32 restored with original equipment. Well, besides buying a new Enclave Avenir last week I got a call from Summit Racing regional warehouse and retail store in Arlington, TX. Summit asked me to bring my 1967 Sportwagon GS400 Tribute car to put on one of their two turntables as you walk into the entrance of the retail store. Car will be there for the month of February and get lots of looks. We loaded it on the turntable and I was not finished opening the doors, hood and tailgate when I turned around there were about 8 people standing there admiring the car and full of questions. The black paint really pops in the window and at night the turntable is lit from above so I will have to go at night and take a photo or two. Really a bunch of nice guys and gals at Summit and I am glad I filled out an application to show the car about 6 months ago and got the call. They will be showing the car and telling the story of the changeover to the GS400 Tribute on the Summit web site in a few days. As a GS400 Tribute Sportwagon, which I showed in Brookfield WI BCA in 2017, I installed a completely rebuilt 1967 GS400 V8 and T400 transmission that came with the engine. Also installed GS hood and grill, chrome rally wheels with red stripes and red pin striping. Car is loaded with every option available as far as I can tell. Car was black from the factory and had a beautiful new black paint job over bare metal when I bought it. 340 engine in the car when I bought it was not original and getting tired. I wanted to have the Sportwagon400 look like a factory made GS400 and had fun doing it and completely redoing the interior OEM material, texture etc. Nice to show a Buick in place of Camaros, Mustangs, and other 60's cars. 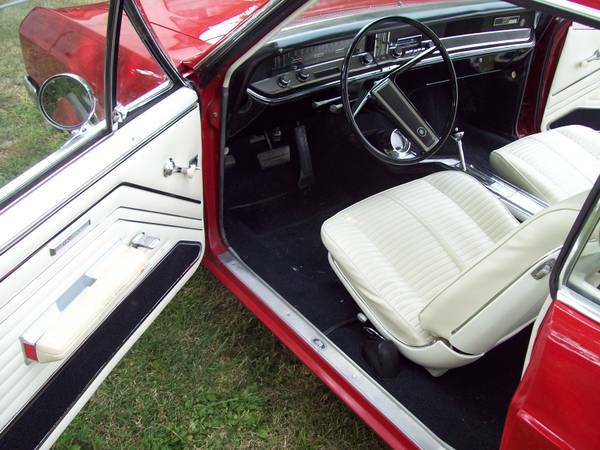 Now I need to request the chance to show the 67 Buick GS400 red convertible on the turntable perhaps later in the year. Thanks again guys for all the advice and experience. After next weeks classic car show I will get it back in the shop and we start taking the box out and appart. Here is the grease that you should use in the steering box. It has a tendency to somewhat flow when it is needed to and will not seep out when left alone. It can be gotten at your local John Deere dealer. I paid a little over $4.00 for a tube. I'm thinking that this will fix your problem. From what you have described it sounds like the steering box is dry. If you try this, let us know how things work. Hope this helps. Terry, I bought the Corn Head grease. From the top looking into the filler stub oil input device there was a light grey grease coating but when I unscrewed the filler stub from the box body and looked further into the box I did not see a level of grease. We loaded the Corn Head grease in a grease gun then ended up putting 1/2 - 2/3 of the tube in the steering box. 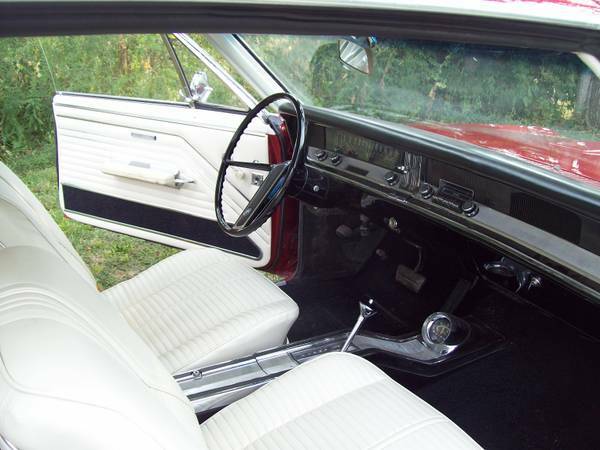 Then I moved the steering wheel back an forth with wheels jacked up off the floor. I think the left turn binding was a little less but still binding. I may try to take the back of the box off and see if the box is full of crud before considering taking it out and all apart. Will also study the info from Hugh and Roy including Hugh's 10 page document on a rebuild. Could be the king pins need grease but we can see grease oozing out top and bottom from previous service. Different grease fittings from today's grease guns so will have to do some research on what to use to add grease to them. I will look at other steering components to see if there is any binding before we remove and disassemble the steering box. I will keep the post informed as we move forward. Thanks to all who have provided info and keep it coming. 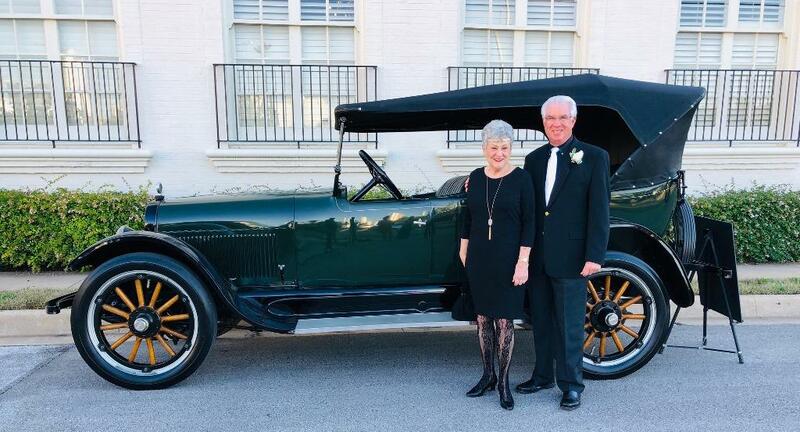 Needs some advice on the 1921 Touring car I bought last May. I have not driven the car more than 1/2 dozen times due to other commitments and just plain busy but when I have driven it I have a problem with the steering. Turning right no problem with the steering wheel and making the turns. Turning left is another story. I can't turn more than 1/2 a turn on the steering wheel and the wheel almost locks up. You can feel it getting tighter as you turn it and then it is almost locked as you turn as far as the wheel will go. I know this could be caused by several issues but before we go taking things apart I looked in the spout where you add steering box lubricant and it is dry as far as I can down the hole. So I am thinking maybe the box could be half full or lower and needs lubricant. I have not researched all my 1921 technical info but thought I would ask for opinions here first. If it does need lubricant, again without researching the manuals what weight oil would I pour into the steering box? Appreciate all advice and opinions. 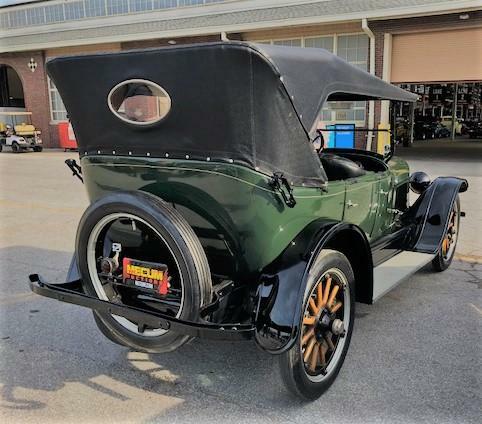 I had previously posted about the 1921 Buick Touring Model 45 I purchased last May at the Mecum Indy auction. Well, it has been sitting quietly waiting for a couple of minor items that needed attention and to finally be registered here in Texas. 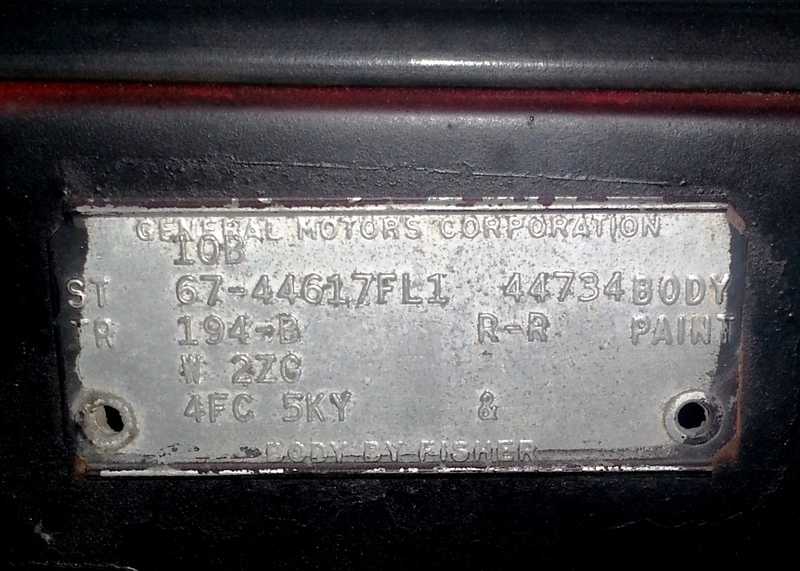 Got the safety inspection and it is now registered as an antique. 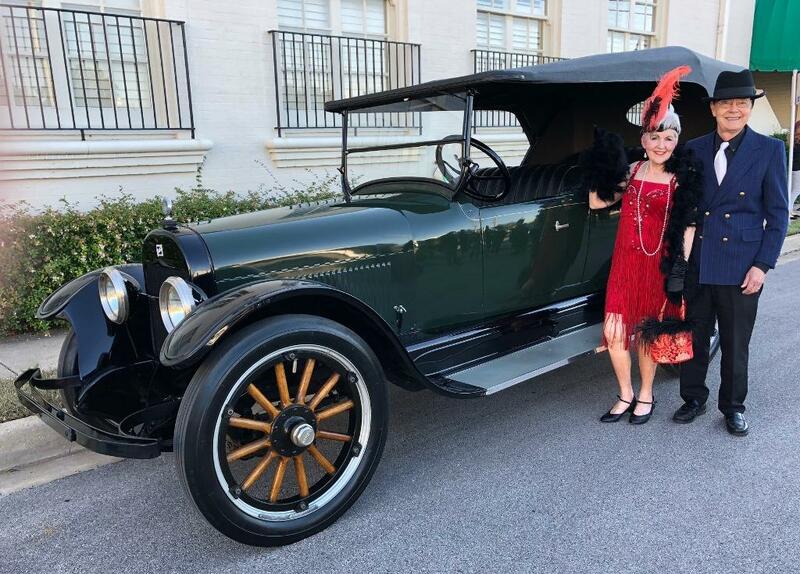 This past weekend the car finally came out of hiding and Friday night I took it to a 1920's murder mystery 'flapper' event at the request of a friend so they could use it for background in photos. That worked out great and then I thought since it is in the trailer why not take it to the festival in Waxahachie. TX about an hour south of Fort Worth. 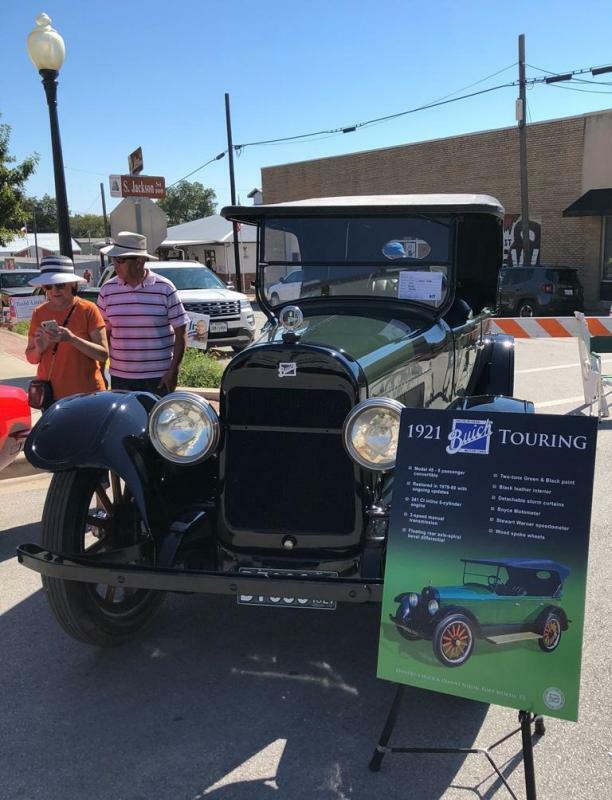 There was a car show with 75 cars as part of the festival which included several hundred vendors for several blocks around the courthouse square. Great weather and enormous crowds after all the rain we have had in Texas. The car was selected as a top 20 participant and had the most fun talking to folks who wanted to know what was it, did I restore it, do I drive it, and what a wonderful vehicle for the public to see and appreciate. I really like the way parents would lift up the little kids, show them the interior of the car and overhear them explain the big tires and wood wheels, the dash and steering, gear shift and brake handle, etc. A real learning experience for many young and hopefully interested car kids. I will ask Roy whqt gives? According to Roy Faries we had 64 Judges: Here are Roy's numbers I used in a BCA2018 presentation to the NTX club last Saturday. I was on a team that judged the Riviera's and we had 11 to judge and like Pete I was the chassis guy so I too was up and down a bunch. In the Denver thin air and the warmth of the day as we approached noon the water bottles came in handy. Thanks Gert, I have a 1932 also. 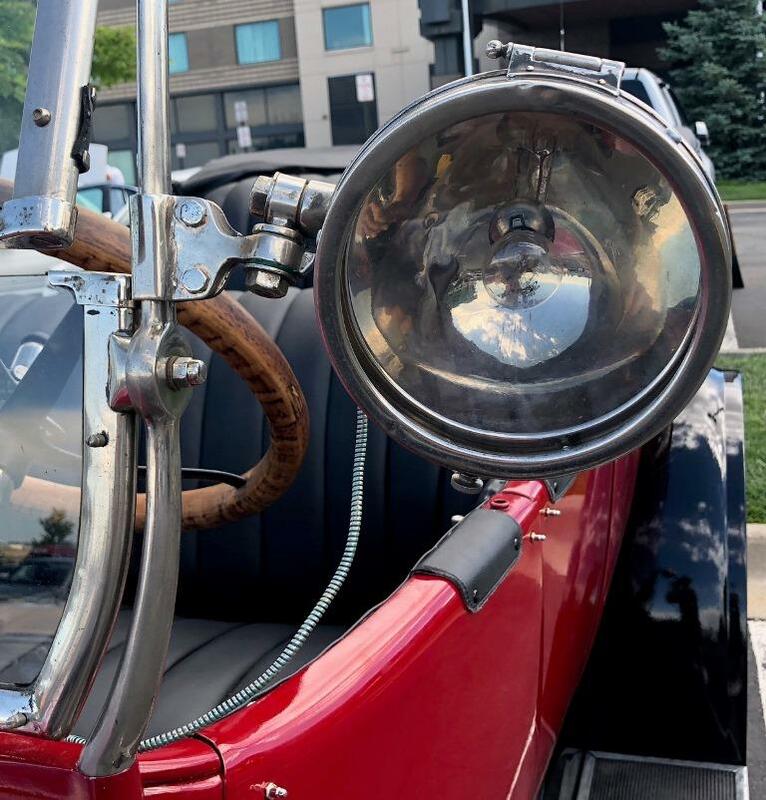 Just acquired a 1921 Touring Model 45 and I need the dash light to fill the hole and light the gauges. Also could use a rearview mirror and spot light if they are out there somewhere. 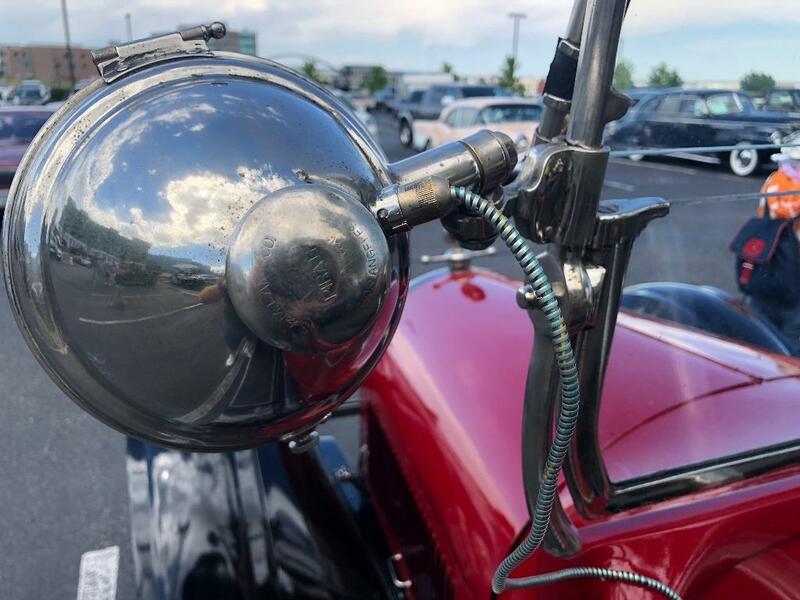 See photos of what I need on a 1920 Touring at the recent BCA Nationals in Denver. Thanks for looking and any advice or what have you? I worked at White Post during the late 80's. The quality of work was superb. When a car left there, it was rebuilt down to the last nut and bolt, and drove like a new car. Update: Turns out the car was back at White Post every 2-3 years for carb cleanout and tune up plus other minor things to keep it in great condition. I have receipts into the late 90's. Thanks for the encouraging words. I have probably have 20+ letters and invoices from "Billy", owner of White Post in the file documenting the restoration, invoices, explanation of things White Post did over the years including a letter that apologizes for having to raise labor rates from $17.50 to $20.00 to keep his good people and cost of living increases. I am going to copy everything and make a complete history book and perhaps write an article for the Bugle. The car was featured on the cover of the March 1981 Bugle and there was a letter inside giving the history of where the owner found the car etc. There is a letter in the file from the owner to Billy saying he paid for $275 in the late 50's or early 60's but I have to get home from Indy and re-read it all. 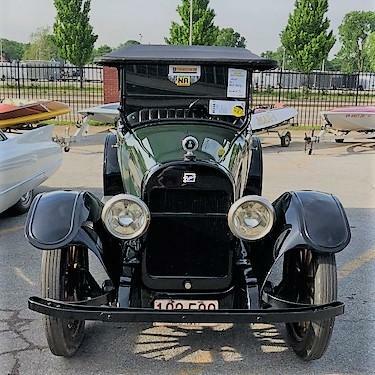 I sent Pete Phillips, Bugle editor, photos of the car before I bid on the car and we discussed condition and price range. He and I were on the same page on price range so I felt good when I got it at what I considered a good price. With a few cosmetic upgrades it will be like it just came out of the restoration process. Engine purrs and starts easy. More when I get the car delivered to Fort Worth and I get to know it better. Well, I promised my wife that I was not going to buy a car at Mecum Indy where I am this week. Intended to just have fun watching others spend money and a lot of nice Buicks changing hands. Yesterday I broke my promise. 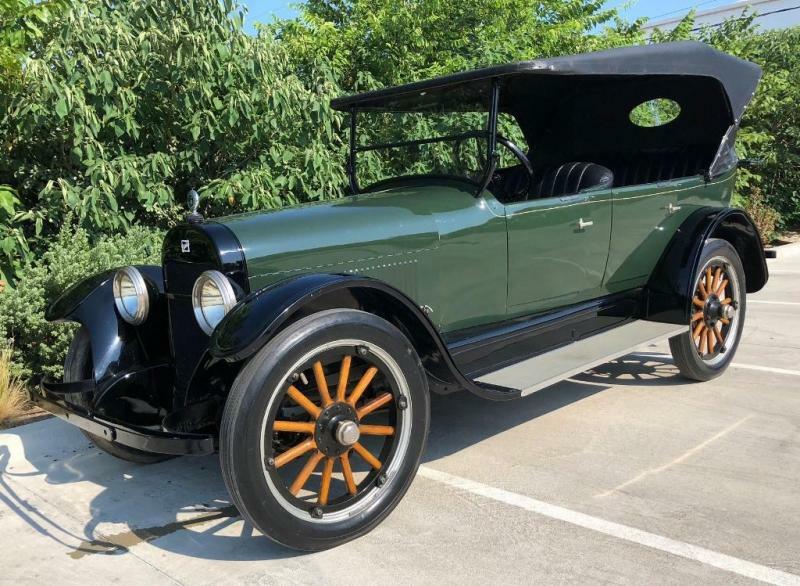 I was thumbing through a catalog of The Maryland Collection, 47 cars being sold at 'No Reserve' and noticed a 1921 Buick Touring car for sale. I walked to the display and was blown away by this wonderful car that had been restored over the years and looked awesome. In the back seat was a 3 ring binder full of the car's history including history back to early 60's, complete restoration receipts from 1979-80 and later by the renowned White Post Restorations of White Post, VA.
After reading about the car and work done I decided to check with a friend that knows early Buicks on pricing to confirm what I thought the car might be worth. We were both on the same page so I decided to bid on the car and after spirited bidding, I won the car. I am thrilled as it will be a fun car for family, shows, parades etc. 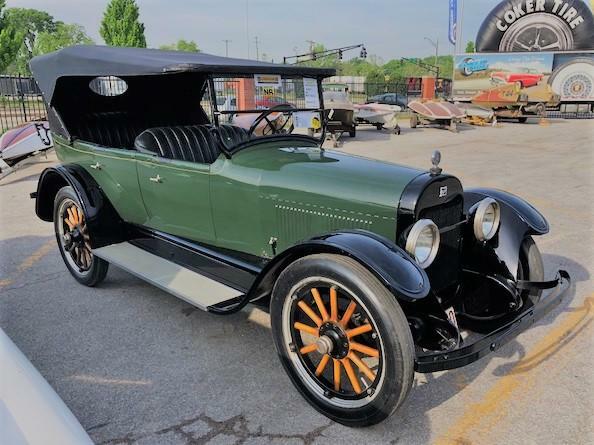 Apparently there are very few 1921 Buicks left, especially in this condition. The car had been sitting in a 100+ car collection in Maryland for more than 10 years and after the passing of the father in 2017, the family decided to liquidate the collection, hence my lucky day. 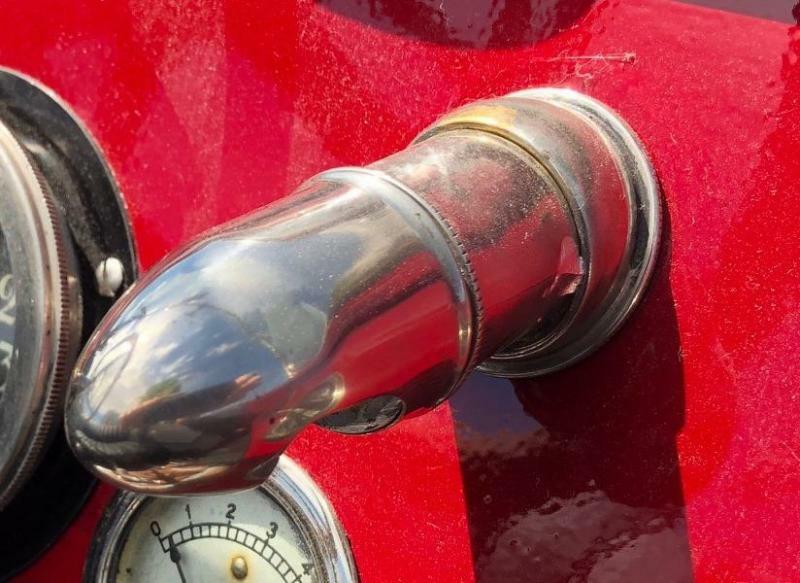 Called the wife and explained what I had done, then sent photos and she forgives me since she loves the older, antique cars. Buick GS400 Coupe in Fort Worth, TX.. Many other odds and ends improved or replaced. .
Engine without A/C compressor installed yet. We had a great time at the OTHER table getting to sit with the Scheib's and meet other folks. Concur on great food and atmosphere. I plan to Bill, see you there. Thanks again for the positive comments. I was overwhelmed by the positive comments about the SportWagon at the BCA meet in Brookfield even to the point that several folks told me it was their favorite car at the meet. That included a gentleman who, while I was drying off the car Friday morning introduced himself and his 14-15 year old son and said " I just wanted to tell you that my son says your car is his most favorite car at the meet, and likes it better than mine!" We had a good laugh and I shook the son' s hand and thanked him for coming and enjoying the cars. Had several folks come by who wanted to talk about growing up and having a station wagon in the family and their experiences. 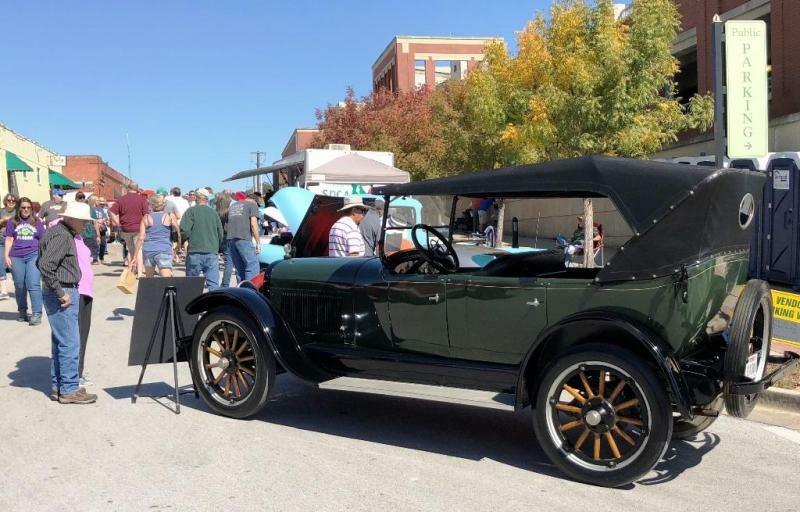 To see all the cars at the meet, whether archival, restored, modified, or drivers, etc. plus meeting and talking with folks was well worth the trip from Texas. The SportWagon was trailered up and back and other than having to buy 4 new tires for the trailer after a blowout in Oklahoma, the 2200 mile round trip was uneventful. Wife and I look forward to BCA in Denver in 2018 and in Oklahoma City in 2019. I may have missed this somewhere but I remember a Forum breakfast at a previous meet. Is there one this year? Drove the SportWagon into the trailer this morning, front wheels went over rear wheel lifts just fine, got to the front wheel lifts, and the rear wheels engaged the rear wheel lifts. Gave it some gas and it started to climb up the lifts but the front lifts were giving more resistance due to their height. Gave it a little more gas and the rear wheels spun on the slick painted incline on the rear lifts and the car shifted to the left ! Cut the engine, climbed out the tail gate again, assessed the situation and decided I had 2" clear from side of car to rear opening frame on left side to back the car out carefully. Unhitched the cable to the rear door ramp on the trailer to give me a little breathing room. Climbed back in through the tailgate, backed the car out carefully, no damage. I then applied stair tread non-slip 4" strips to the rear lifts. Got back in the car and drove it back in the trailer and this time it went all the way in and up on the lifts. Re-attached rear door cable and Mission Accomplished. See you in WI. Maybe you should reconsider driving the wagon? 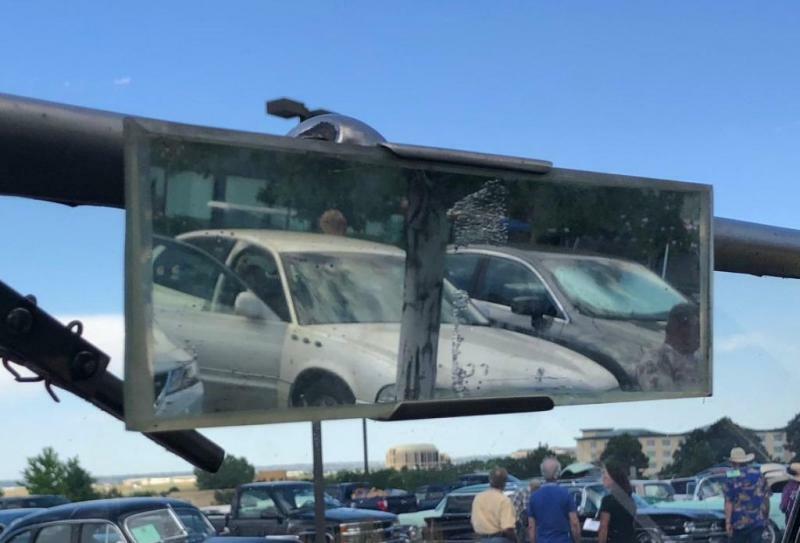 It is a Buick, after all!. John, the weather continues to be unstable between here and Brookfield so I am not going to take a chance on driving it. Besides, I would have to clean it up when I get there !! So I drove the Sportwagon into the trailer this morning, up on my new ramps without a hitch, wheel stops worked and I put the car in park, turned off the engine and opened the door and BUMP! Seems all my measuring was with the jack under the front cross member and when I roll in with the weight of the car on the front wheels on the lift ramps plus my 'mature' body weight, the door is still hitting the escape door frame by an inch after it cleared yesterday on the jack. Crawled out the tailgate again. So, I decide if the front is elevated then I need to elevate the back wheels and see what happens. Out comes the floor jack, under the differential and up it goes 1 1/2 " (1 thicknesses of 2X material). Walk around to the escape door, open the car door and there is an inch clearance, but, with with previous experience I get up into the front seat and start to shut the door. As I close the door the bottom of it lightly rubs on the escape door frame so my weight is the culprit again. Put my foot out the door onto the trailer floor to take some weight off the car for door clearance, open the door as far as I can, which is plenty to get in and out through the escape door, and get out. I raise the differential with the jack, put 2 pieces of 2x10 under each rear wheel, let the jack down and go check the door again. 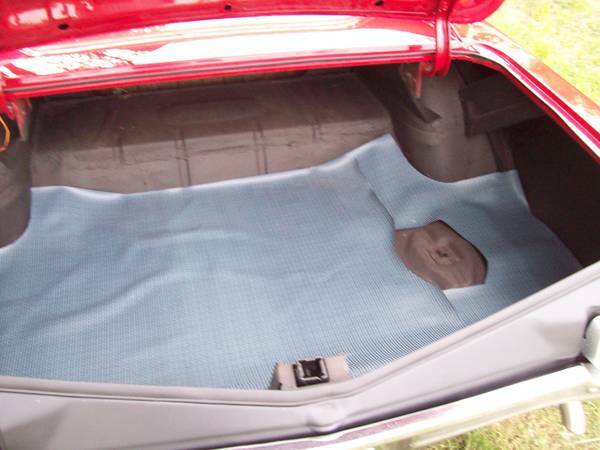 Now there is 3" clearance without me in the car and should be plenty left even with me sitting in it. Now I have to build two more lift ramps for the rear wheels! Thought about just stacking 2 - 2 x12's on each side from back to my front lift ramps but that was expensive and I did not want to secure that much wood to the trailer floor. Also, at the time was thinking I would be using my basket tie-downs on the wheels and the wood would cover my tie down tracks in the floor. So off to Home Depot to get more 2 x 10 material and make two back lifts. Made the back lifts, installed them tonight and will try the car again in the morning and it should work fine ( I trust!). I went ahead and evaluated tie-down options and as it turns out I can't use the basket wheel tie-downs because there is not enough room remaining between the car body and the trailer side walls for me to get to each corner, finagle the straps over the wheels, and tie them down to the track. Decided to use regular tie-downs on the rear axle connected to rear 'D' rings which works well in spite of the long overhang and gas tank of the wagon. I will cross a pair of tie-downs at the front using 'J' hooks the towing drivers use in holes in the frame and connected to the 'D' rings at the front. Sure am glad I decided to test load the car on Tuesday instead of waiting this weekend with little or no time left before we leave. I don't intend to trailer the SportWagon very often but drive it! The trailer is mainly for my 1932 Buick and a couple of Model 'A' Fords and works great for them, no clearance problems. Will give a report and photos when I get back from BCA.